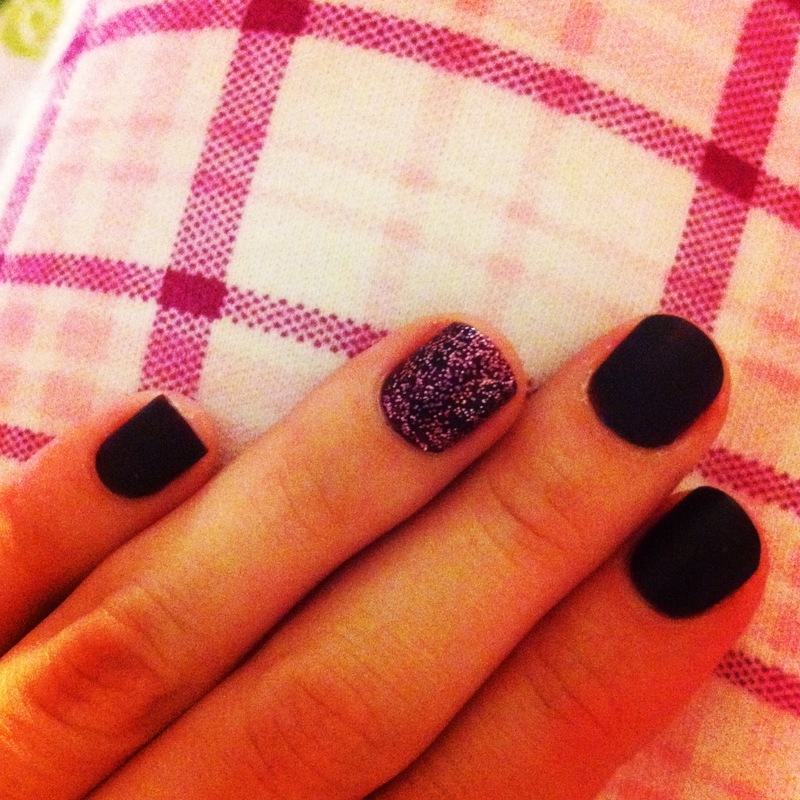 I love dark matte nails! I know it’s spring and people are actually using more pastel and neon nailpolishes but I still stick to my dark ones. 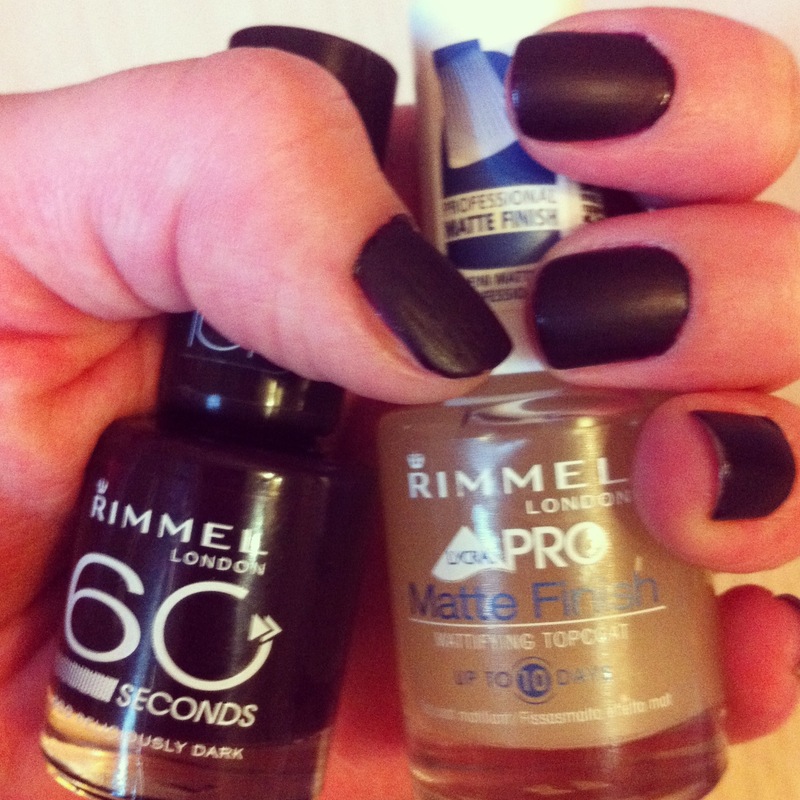 On his photo I am wearing Rimmel 60 seconds nailpolish in ‘Deliciously dark’ and Matte Finish topcoat also from Rimmel. Yep, matte again. Same products as on the previous photo, plus Sally Hansen’s Diamond Strength nailpolish in ‘Wedding crasher’ on my ring finger. ‘My private jet’ from OPI is so unique. It’s very dark, but still it’s not plain black.